As we head into golf season in the Okanagan, incorporating some mobility activities away from the golf course can be tremendously beneficial to help golfers lower their scores and avoid injuries while they are out there. 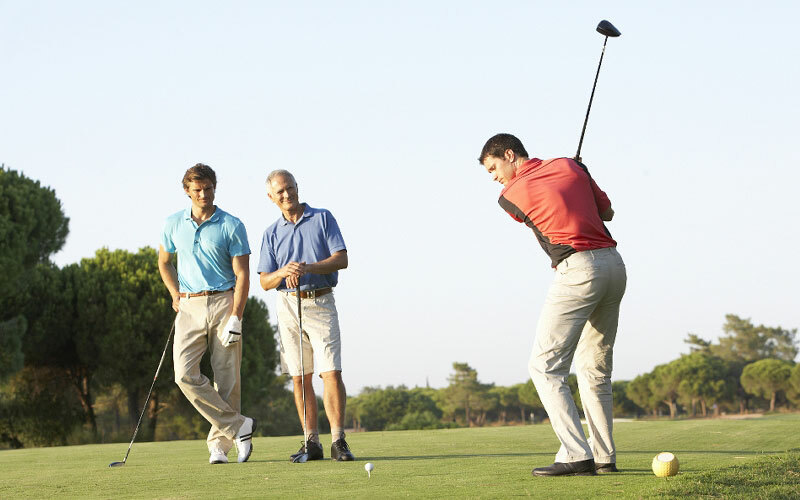 Some of the injuries in golf can be attributed to the fact that it is repetitive in that you can be doing the exact same thing well over 100 times in a 4-5 hour period. If you end up doing this a couple times (or more) per week, the strain on your body is considerable. If you don’t have required mobility or strength to cope with these demands it will catch up to you quickly. The majority of people that I see with golf injuries related to the low back, hip or shoulder areas are because of underlying mobility problems. As part of treatment in my office, helping patients to address these problems on their own is an empowering tool for them. Providing them with a daily mobility prescription is likely one of the most important things I can do. The Selected Functional Movement Assessment (SFMA) is perfectly geared towards golfers in order to be able to select the most specific activities that will be helpful. These protocols are used by the treating medical providers of the PGA tour and are the foundation of the Titleist Performance Institute. The rolling activities that I have discussed in previous articles are a core activity for mobility problems with patients. Today I will include two more rolling videos that initiate movement with the lower extremity as opposed to the upper extremity that were presented in this column. These rolling exercises can be done as a warm up for golfing to help create the necessary mobility and muscle recruitment that you will use while swinging the club. Spending 5-10 minutes completing these activities will be far more advantageous than completing static stretching. As always it is best to consult with a health professional that is skilled in assessing these movement patterns to help you determine which is most applicable.